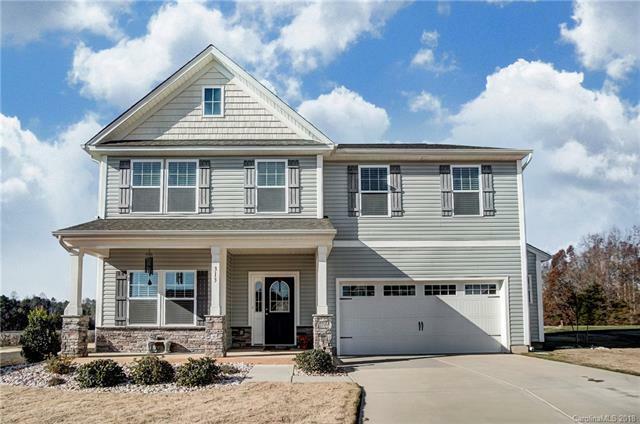 Look no further: this pristine, 2 story open floor plan awaits! Gorgeous hardwood floors, stainless steel appliances, large double tiered island, upgraded fixtures, granite counter tops, tiled back splash, plus much more. Master has a large walk in closet and spacious sitting area. Home sits in a quiet cul de sac overlooking long views of farm land. Over-sized 2 car garage with epoxy finish. Original owners have kept this home in immaculate condition and is move in ready! Why wait to build when you can move now? You won't be disappointed!